Lots of bottles, toners, foundations and perfumes? Then this item is a must have! 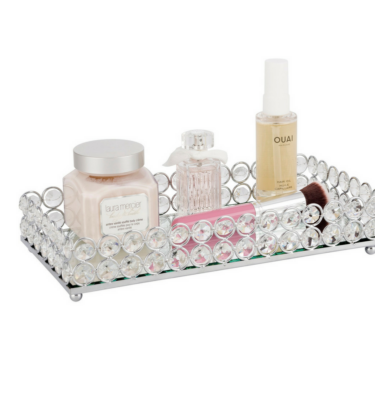 These Deluxe Trays have been designed specifically to sit on top of your fixed top Makeup Boxes. 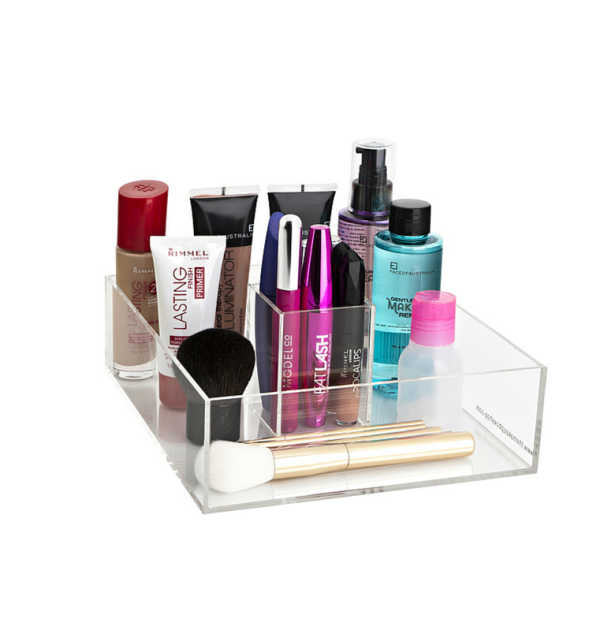 Place the Deluxe Tray on top of your Makeup Box, or simply your bathroom bench for a little more storage. Comes with a handy built in Brush Holder! 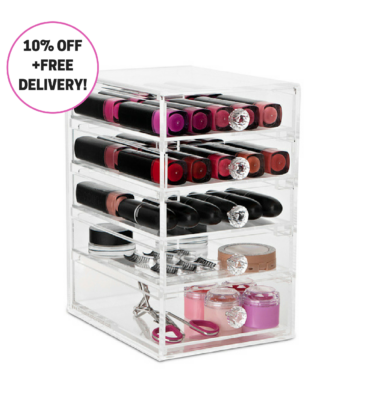 Use to store your makeup brushes or even your lipglosses or eyeliners! 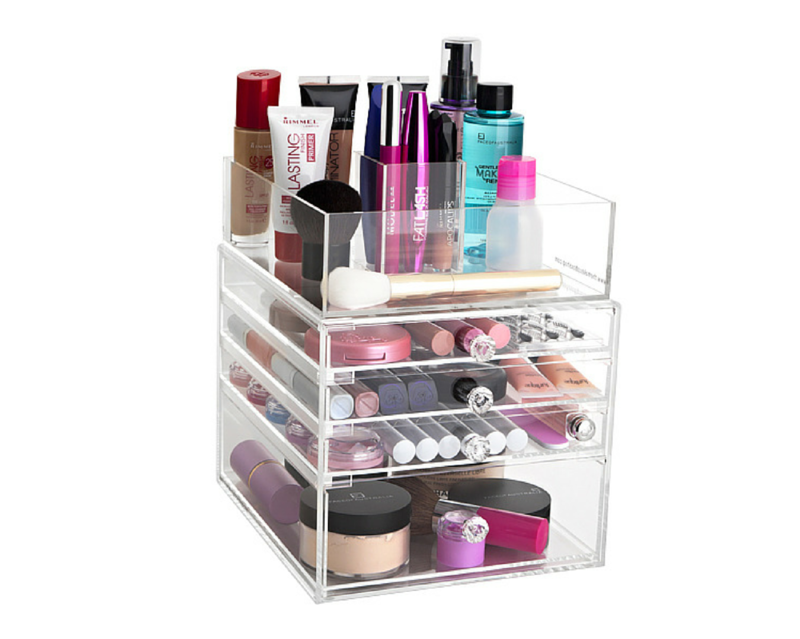 Such a handy addition to your Makeup Box Shop collection! Find measurements and further item details in the additional information tab below! 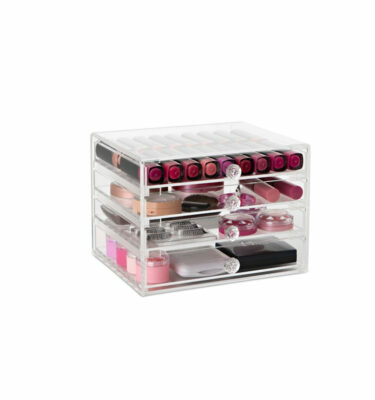 This product sits perfectly on top of the Flip top make-up box to give you that extra bit of storage. 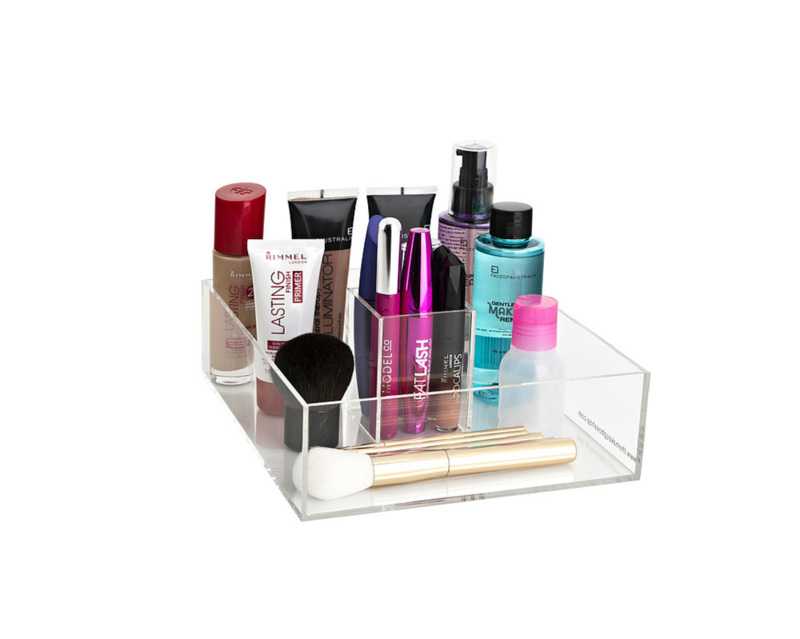 It even fits the Make-up brushes holder neatly inside. 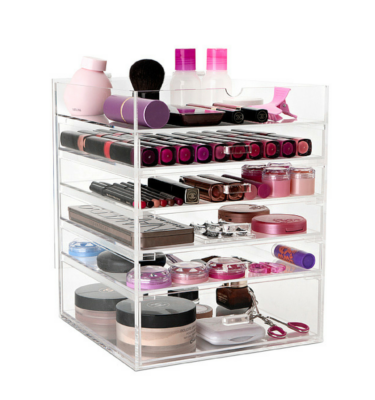 I absolutely love how all my products are stored neatly in the one place and are easily accessible.